Team Russia and Team Finland announced their rosters in the early hours of the day, and as expected each roster had a Pittsburgh Penguin. Evgeni Malkin was named to Team Russia, and Olli Maatta was named to Team Finland. Each has represented their country in international competition before. 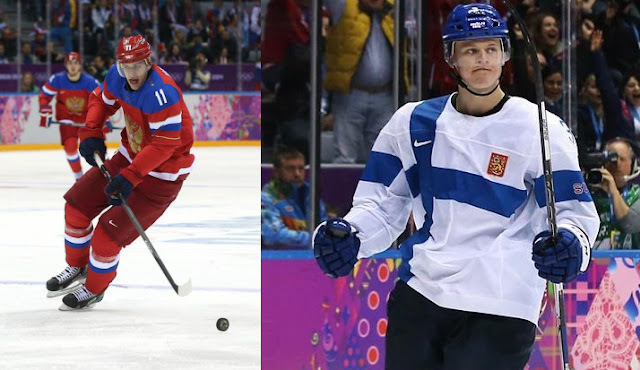 Evgeni Malkin has played on 3 Russian Olympic teams without medaling, 6 IIHF World Championship teams, winning 2 golds, 1 silver, and 2 bronzes, and also a number of teams as a junior player. Olli Maatta earned a Bronze Medal with Team Finland at the Sochi Olympics and also played on a number of junior teams for Finland. The World Cup of Hockey will take place from September 17 through October 1 in Toronto, Canada. 8 teams from various European and North American countries will face off in preliminary play from September 17 - September 22, and the top two teams from each group will advance to the semifinals on September 24 and September 25. The championship round will be a best of 3 setup with games on September 27, September 29, and October 1 if necessary. The next roster announcements with implications on Pens players are Team Sweden (12:30 PM), Team North America (5:15 PM), Team Canada (6:05 PM), and Team USA (6:45 PM).